Cookies are powerful things… They can fix a multitude of problems and instantly make you feel better! Best broken heart remedy in our opinion! Delicious little disks of goodness, you might be surprised to hear they don’t have to be really unhealthy for you! Rejoice! 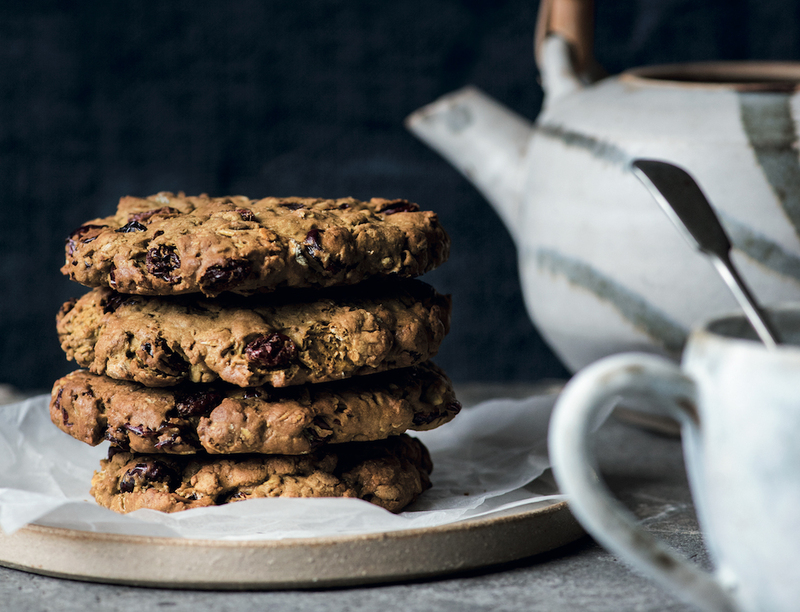 You can still get your cookie fix minus the rubbish usually found in the store-bought varieties. 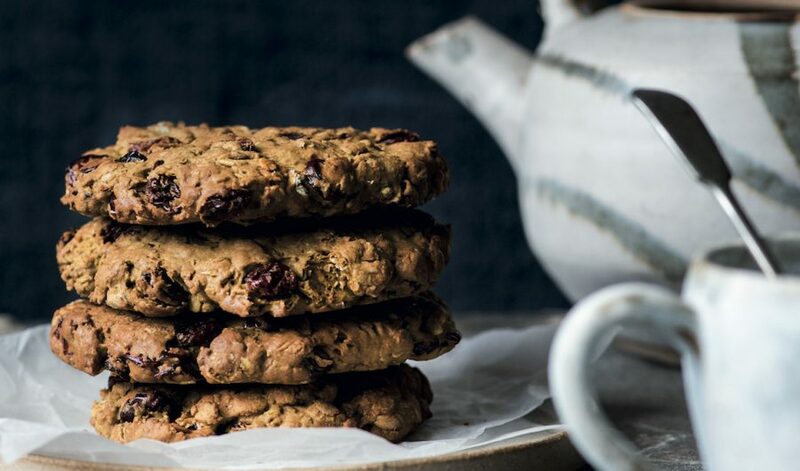 These Oat Matcha Cookies from The Matcha Cookbook are ideal for that afternoon pick-me-up due to the energising matcha tea! Bake these on a Sunday and have them to hand for the rest of the week! Preheat the oven to 180°C (350°F), Gas Mark 4 and line a baking tray with baking paper. and maple syrup. Mix all the remaining ingredients together in a large bowl and then pour the liquid ingredients into the dry. Mix well until combined, then leave for 10 minutes for the ingredients to come together. Add large spoonfuls of the mix to the lined baking tray and push down to atten. Bake for 15–17 minutes, or until risen, crisp and golden at the edges (the middles will stay quite soft). Leave to cool on the tray for 10 minutes, then transfer to a wire rack to cool completely. Keep in an airtight container for up to 3 days. Like the look of these Matcha Cookies? 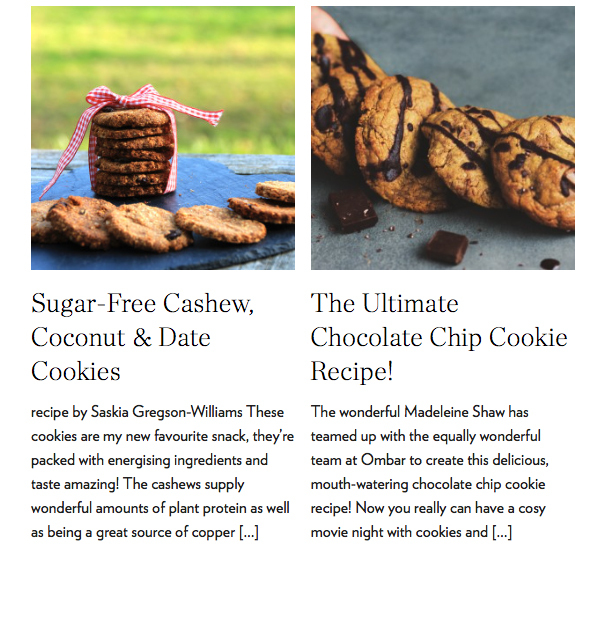 Check out our other cookie recipes to mix it up!